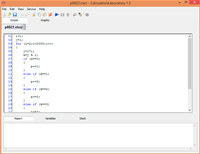 Mathematical program that can handle scripts (your own programming language), also can process scripts extreme numbers (both decimal binary (256-bit number) and a 16-bit format). There is support for multi-threading (using potentiation, ie exponentiation). Factorial, double factorial, times the factorial of the exponent, median of a triangle, trigonometric and hyperbolic and inverse them and other functions. 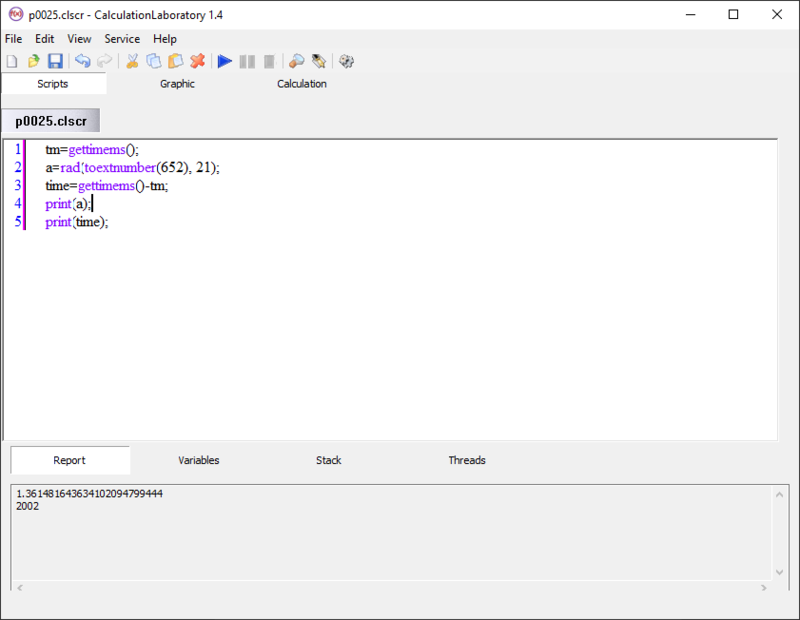 CalculationLaboratory is an educational program that works under windows xp, windows 7. It supports both 32-bit & 64-bit windows editions, therefore it could run faster on 64-bit computers. Estimated download time for CalculationLaboratory on a common adsl connection is less than a minute. Version 1.4.12.1470 was released one hundred forty seven days ago by IMind soft. Click the green download button to download it now.